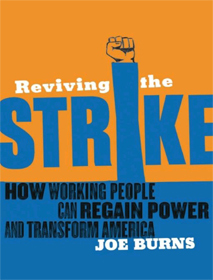 We believe that combining the fight for immediate working class gains, with a vision to fight for far more radical gains that lead toward a worker takeover of society (what we call class oriented socialism), is the only way to keep workers from falling into the bosses’ traps. 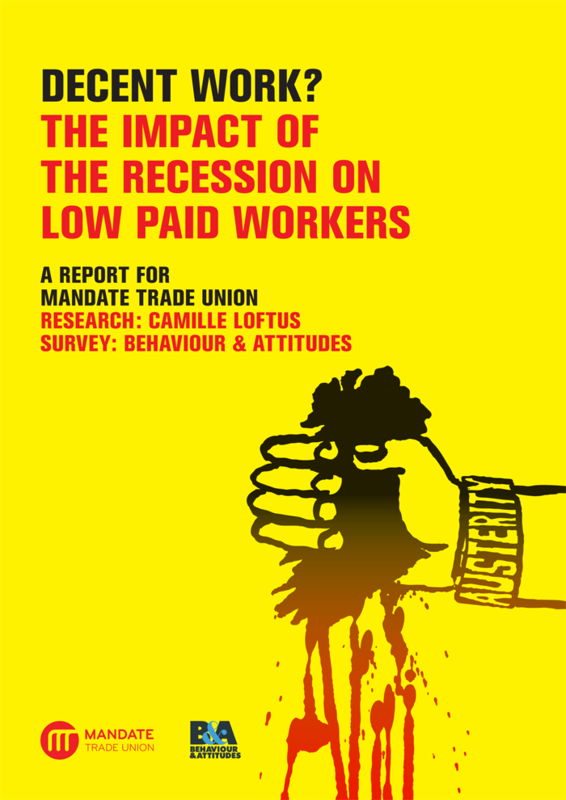 And, it answers the workers’ deep understanding that their bosses don’t deserve any respect. 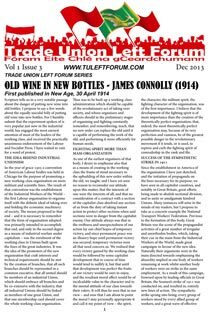 Here is the Labor Today Program for now and the future that adheres to our great working class tradition in the United States. 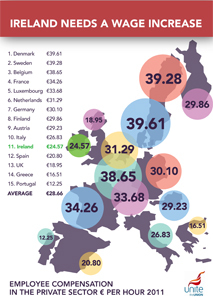 The current housing crisis in Ireland did not happen by accident. It is the result of failed polices by successive governments who have relied almost entirely on the private sector to provide housing to residents in Ireland. 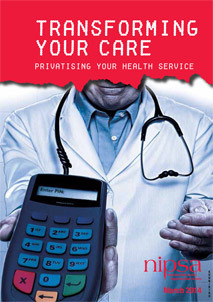 This policy has resulted in devastation for hundreds of thousands of families across the state. 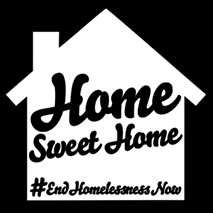 Home Sweet Home is a campaign of housing activists, artists and trade unionists who believe the State cannot abdicate their housing responsibilities to the private sector any longer, and must now strongly intervene in housing to ensure everyone has a place to call home. 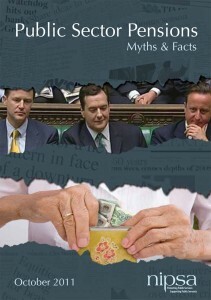 Housing is not a ‘market’. It is a basic human right. 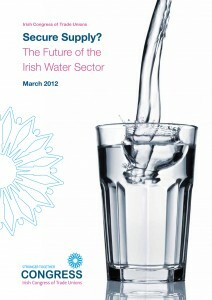 This is the TULF submission to the Right2Water process of developing a progressive political programme. 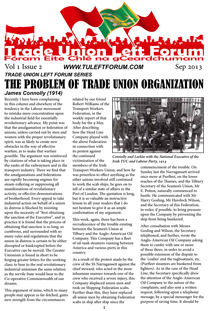 The fact that five unions have been central to the biggest mass mobilisation and social movement in decades is in itself a progressive turn, constituting an important step forward for the trade union movement and for workers more generally. 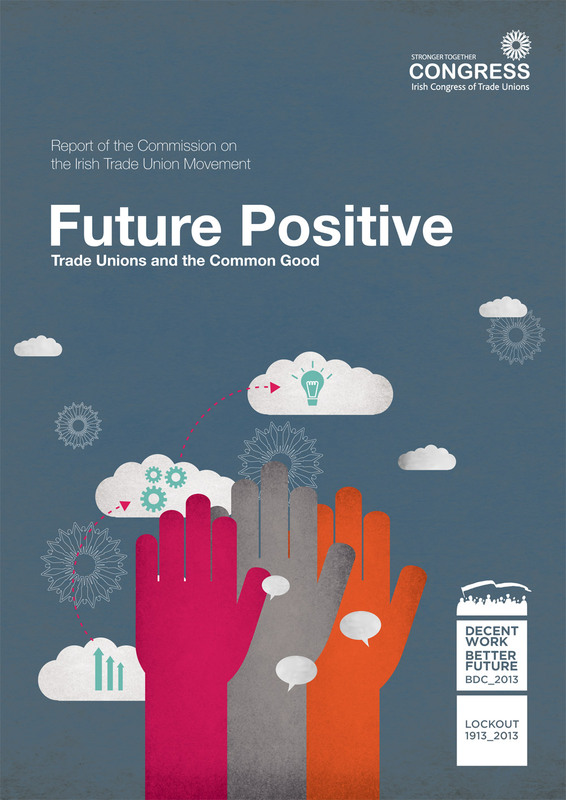 It is crucial to the future of the union movement, and to working people generally, that we in the movement develop a coherent and concrete programme, with workers and communities, that challenges the power of capital and big business in Ireland. 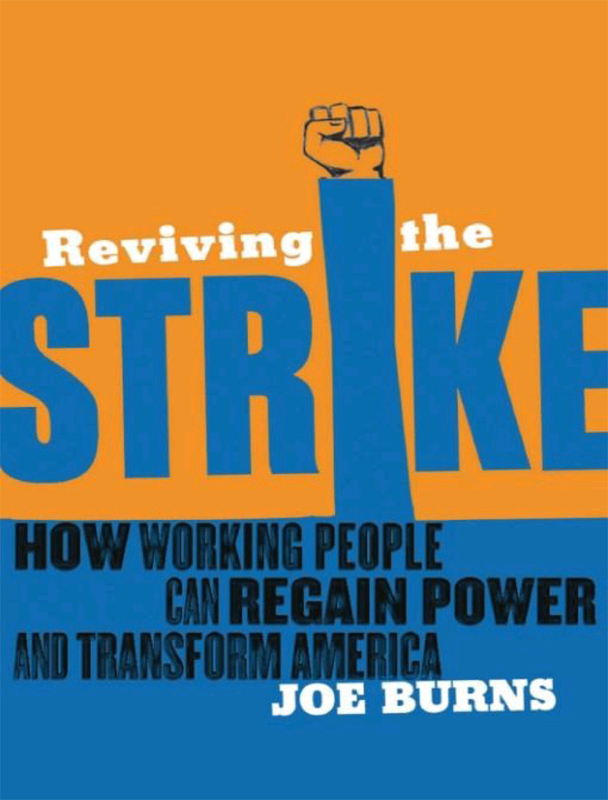 A book by Joe Burns (union lawyer and negotiator in the US) which argues the movement needs to return to the strike as the key part of union revival to pull the movement out of the crisis of declining membership and power and our class out of poverty and desperation. 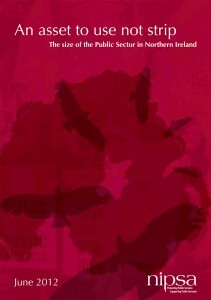 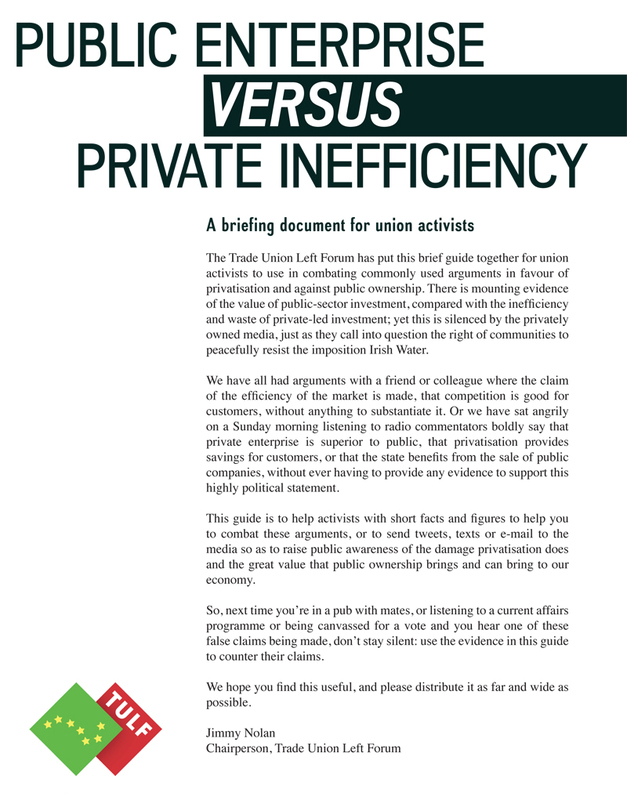 A must read for union and left activists. 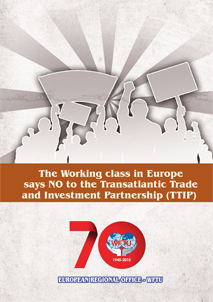 The European Regional Office of the WFTU published it’s announcement denouncing the TTIP and its impact on the lives of workers. 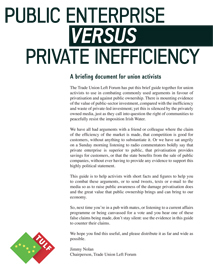 The Trade Union Left Forum has put this brief guide together for union activists to use in combating commonly used arguments in favour of privatisation and against public ownership. 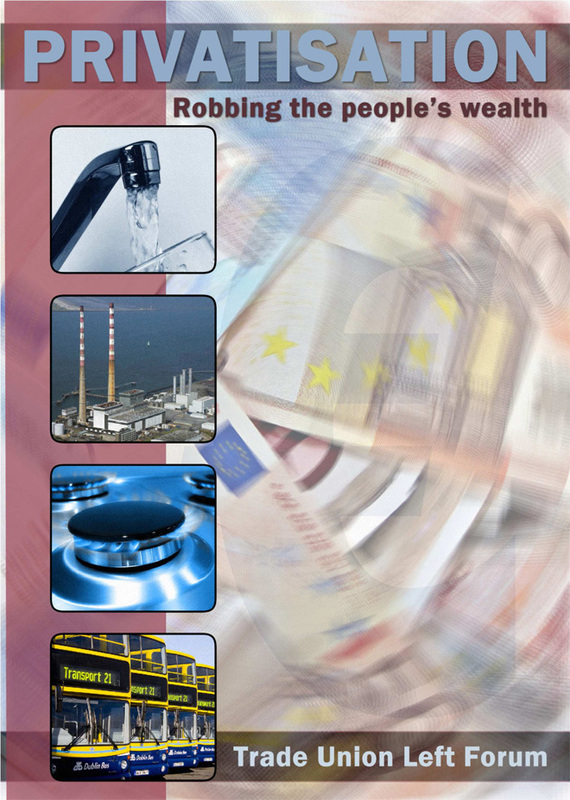 There is mounting evidence of the value of public-sector investment, compared with the inefficiency and waste of private-led investment; yet this is silenced by the privately owned media, just as they call into question the right of communities to peacefully resist the imposition Irish Water. 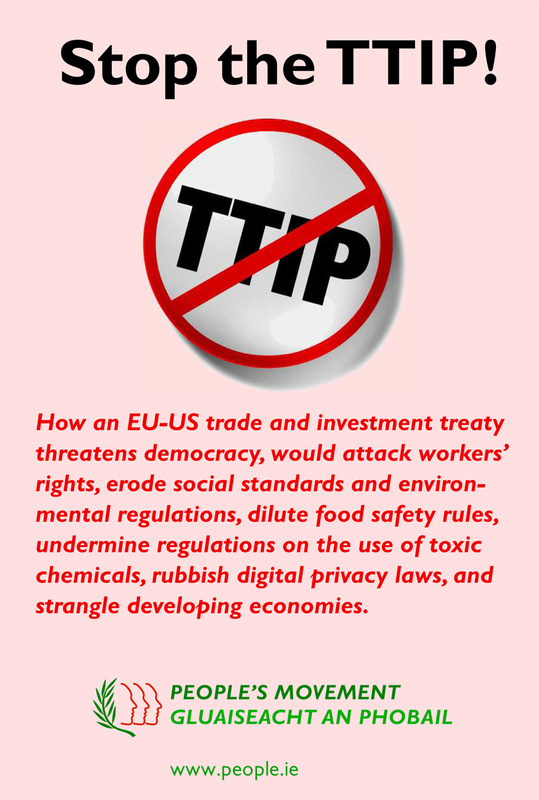 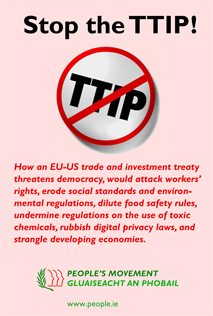 How an EU-US trade and investment treaty threatens democracy, would attack workers’ rights, erode social standards and environmental regulations, dilute food safety rules, undermine regulations on the use of toxic chemicals, rubbish digital privacy laws, and strangle developing economies. 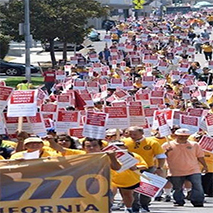 In May 2013 a health story began to dominate the local media. It related to the threatened closure of a number of residential care homes for the elderly. Individual Health Trusts reacted to public opposition to this possibility by stating they were merely carrying out policy as directed within an overall health strategy that is referred to as Transforming Your Care (TYC). There is currently a debate over the role of wages in the Irish economy. Those who claim that wages are too high and that wage increases will erode competitiveness rarely put forward any evidence to substantiate their position. 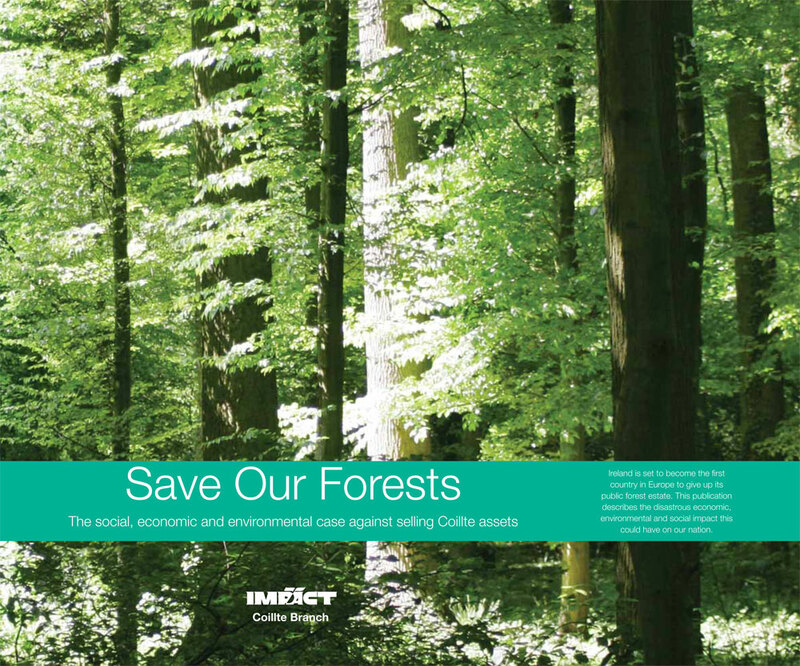 The social, economic and environmental case against selling Coillte assets. 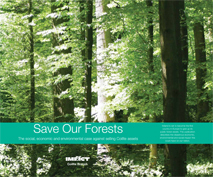 Ireland is set to become the first country in Europe to give up its public forest estate. 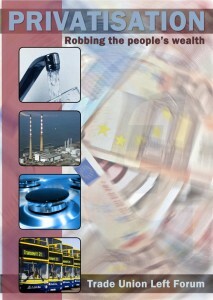 This publication describes the disastrous economic, environmental and social impact this could have on our nation. 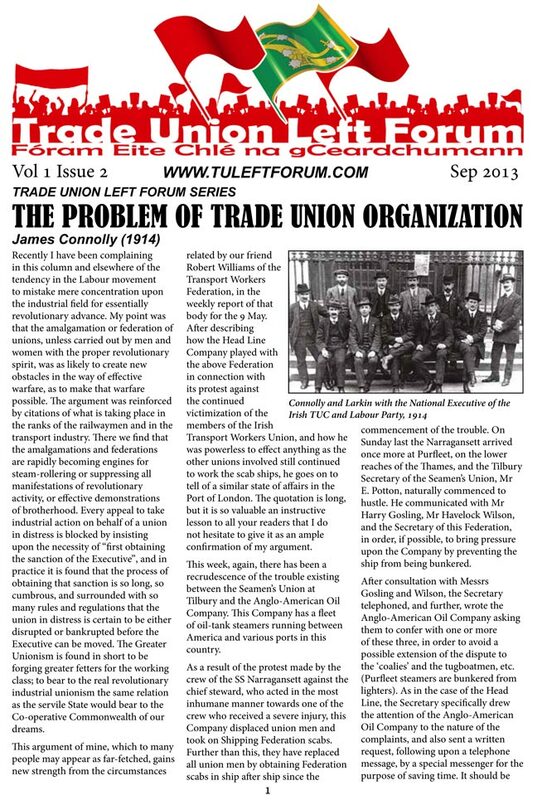 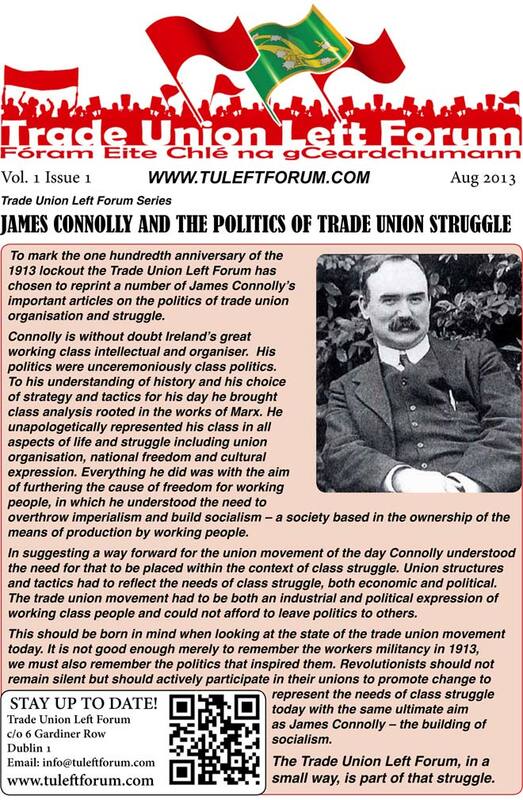 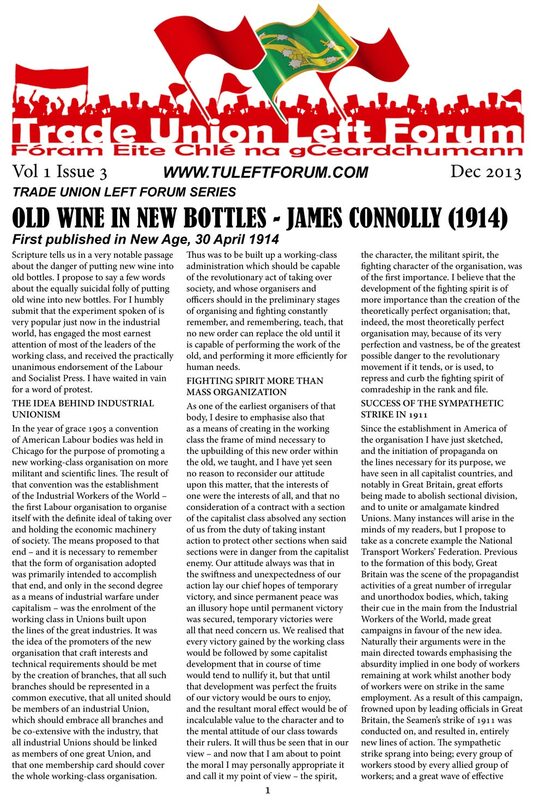 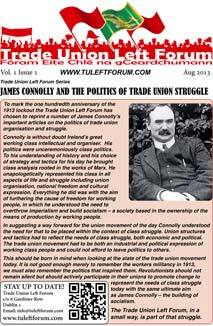 To mark the one hundredth anniversary of the 1913 lockout the Trade Union Left Forum has chosen to reprint a number of James Connolly’s important articles on the politics of trade union organisation and struggle. 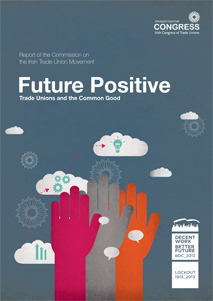 “Future Positive – Trade Unions and the Common Good” is an analysis of the conditions that affect trade union organisation both nationally and internationally and sets out the challenges that face unions in Ireland. 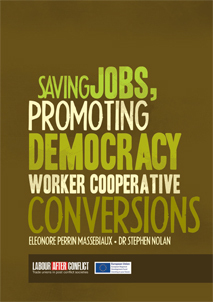 In declaring 2012 the International Year of Cooperatives, the United Na4ons has drawn attention to a form of social organisation which plays a major role in economies across the globe. 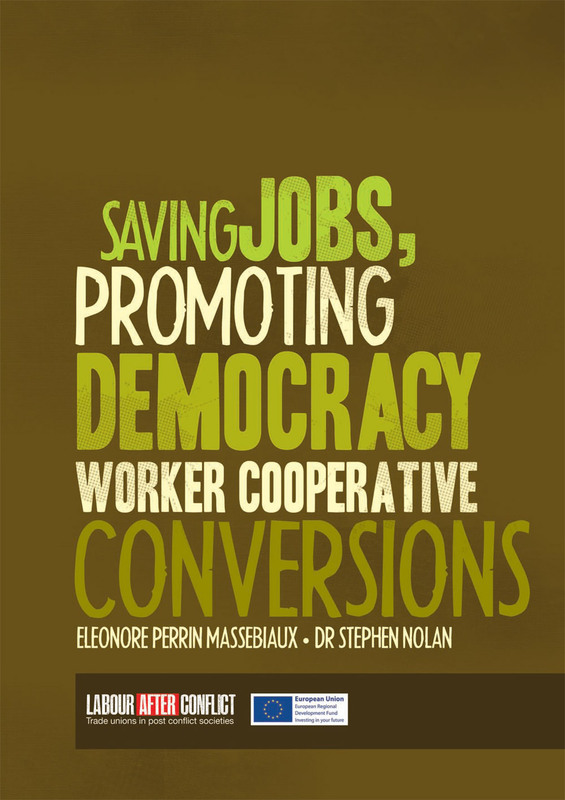 Cooperatives employ over 100 million people and have over a billion members worldwide, they are not traded on the stock market and so never make the business news, they are socially responsible, sustainable and are democra4cally controlled by their members. 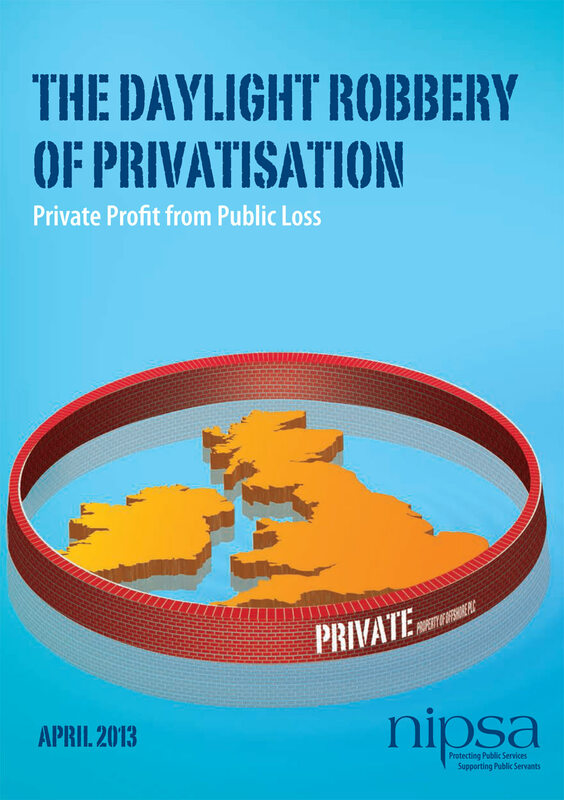 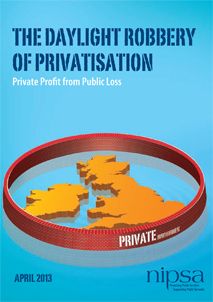 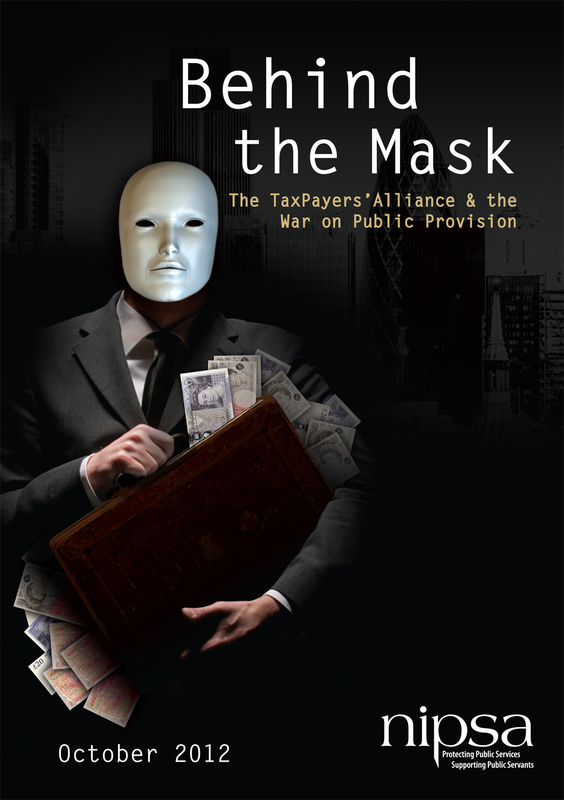 This pamphlet on the politics of privatisation is the outcome of a seminar organised by the Trade Union Left Forum and a case study on the ESB and the effect of government policies over the last decade or more. 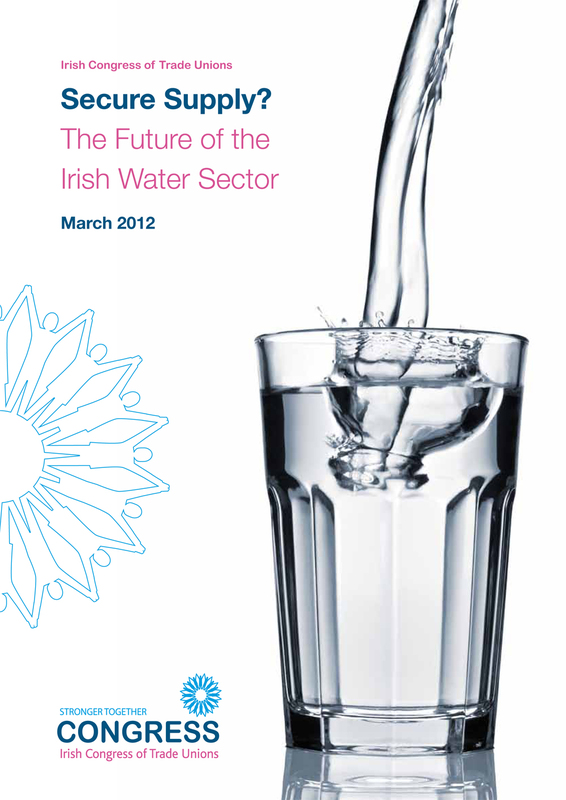 The failure to adequately invest in water services is evidenced by the failure to put in place a standby supply of water for the most densely populated areas. This paper outlines how pensions and occupational public sector pensions in particular, a necessary and socially desirable provision, have been put ‘in the dock’. It then examines the validity of the ‘charge sheet’ and concludes by arguing that the debate needs to return to how all citizens – not ‘consumers’ or nominal members of an imagined PLC – are provided for in retirement. 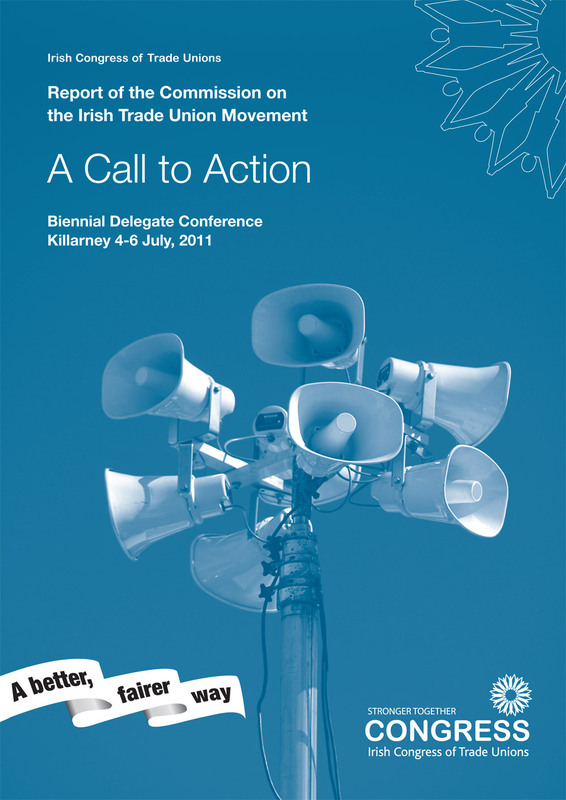 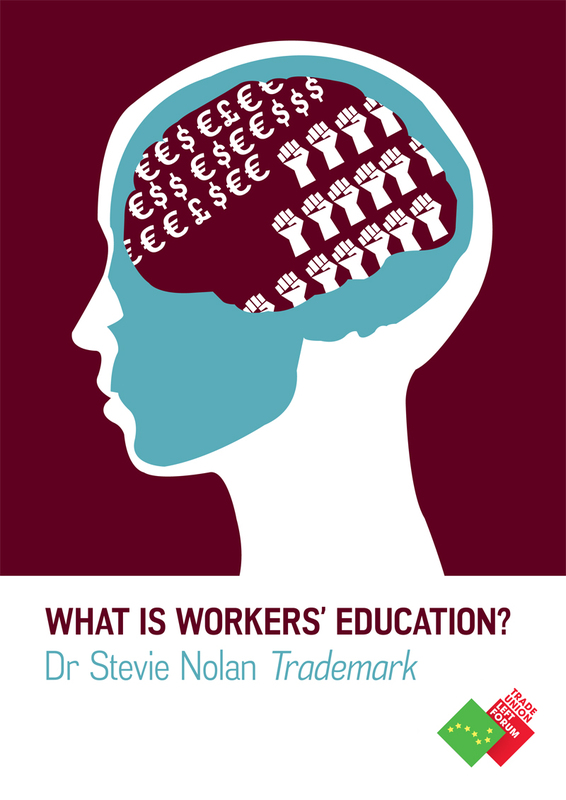 At the Congress Biennial Delegate Conference in July 2009, a motion was passed calling for a Commission to be established to review trade union organisation in Ireland, including structures and procedures, with the objective of optimising effectiveness through co-ordination of resources in the best interests of working people and their families. 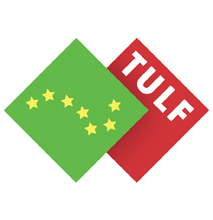 The Commission was established in April 2010. 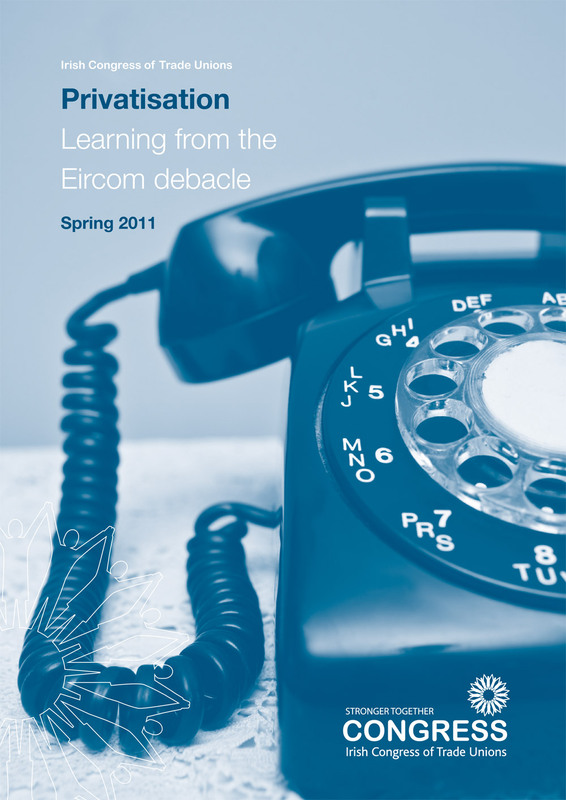 The members of the Commission are Mr David Begg, Mr Jack O Connor, Mr Peter McLoone, Mr Eugene McGlone, Ms Patricia McKeown, Ms Avril Hall-Callaghan, Mr Philip Bowyer and Mr Philip Jennings. Mr Liam Berney from the Congress Secretariat acted as Secretary to the Commission. 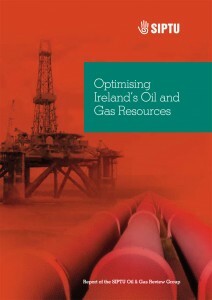 The Department of Communications, Energy and Natural Resources (DCENR) estimates a total reserve potential in the order of 10 billion barrels of oil equivalent (bboe) beneath the seabed off the west coast of Ireland. 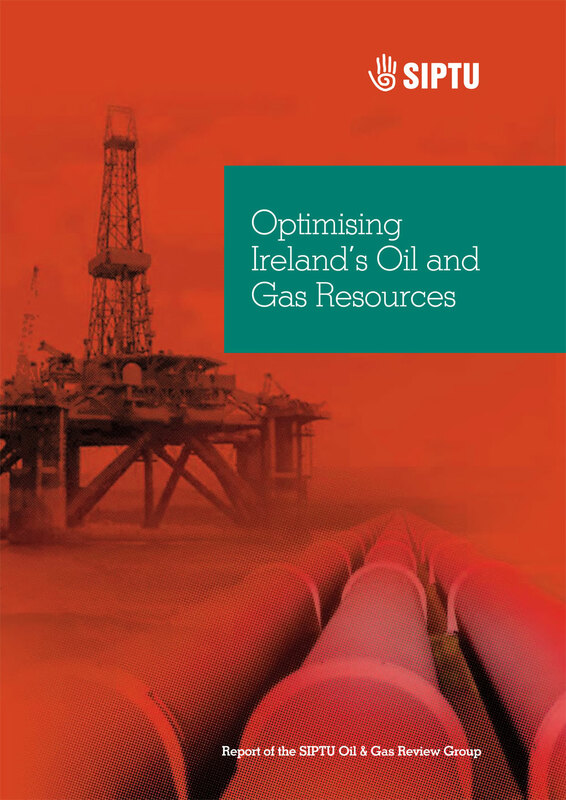 On the basis of geological studies, seismic surveys and drilling results these estimated reserves divide approximately into 6.5 billion barrels of oil and 20 trillion cubic feet of gas. This quantity of estimated reserves, if found and exploited, would be sufficient to meet Ireland’s demand for hydrocarbons for over 100 years, based on current usage.